Are you familiar with the story of Job? It is a heart wrenching story in the Bible. Satan was running around the earth, and God called all of the angels to heaven for a meeting. Satan wanted to prove a point, so he asked God to let him bother Job. He wanted to show that when life gets hard, most people blame God and turn to the "dark side", if you will. God gave him permission to do anything to Job, but he was not allowed to kill him. Many horrible things happened to Job. Then, his friends showed up. The Ministry of Presence is just what it sounds like. You are present with someone who is going through something awful. In September of 2015, I had the experience of showing this to my teenage son. One of my high school friends died in a wreck, leaving his wife and three kids behind. Thankfully, over the years, his wife has become one of my very close friends. When he died, I went over to her house. Later in the day, I came home for a little while, and my son was going to keep kids for a small group near my friend's home. I told him to ride with me, and I'd drop him off after we visited at my friends house. As we were getting out of the car, he said, "I don't know what to say." I responded with, "You don't have to say anything." We went in, and joined my friend at her breakfast table. She talked. We listened. Others talked to her. Her mom got there, she'd just come back in town, and I watched as this woman hugged her daughter and watched her sob to her mom missing her husband. I looked at the time, and told them I would be right back. We got in the car, and I told Blake, "Did you see it?" He said, "What?" 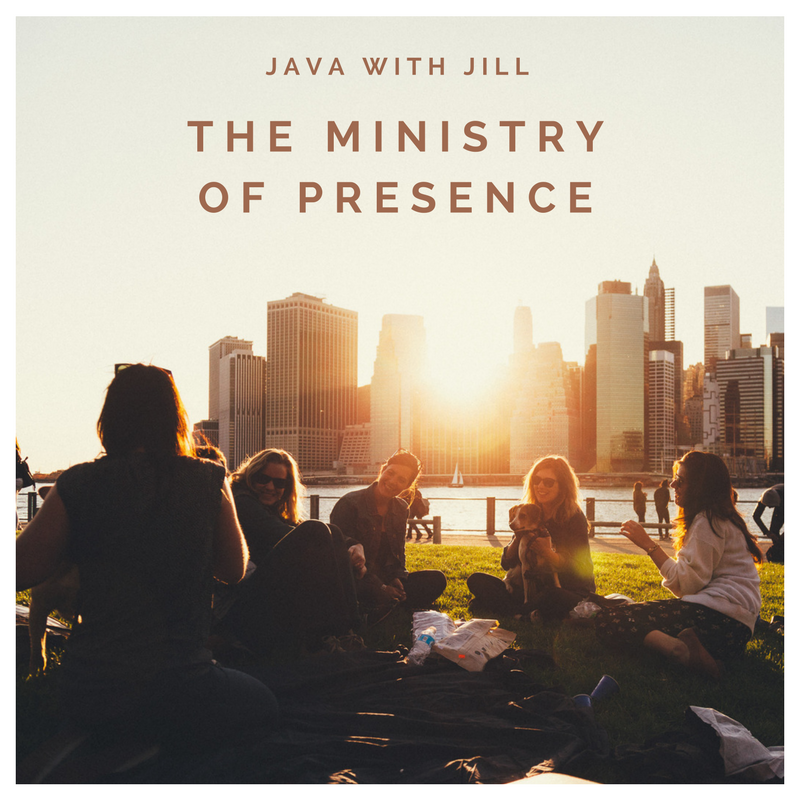 I said, "That is the ministry of presence." We never spoke a word. We just sat there with her. Keeping your mouth shut, and just being there sometimes is all people need. OR you are also welcome to help them clean up and bring food. Those things are helpful as well. Next time someone you know is going through a hard time. Offer to pray, of course, but just BE THERE. That means more than you'll ever know.